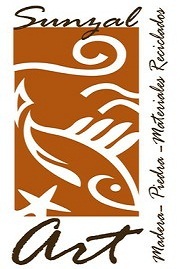 The site is located in the heart of Chalchuapa in the department of Santa Ana, some 60 kilometers from the capital, San Salvador. 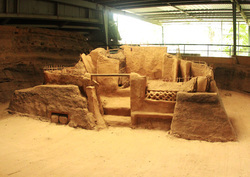 This zone is within the archaeological area of Chalchuapa, which covers an approximate area of 10 km² and where other archaeological sites such as Pampe, Casa Blanca, Trapiche and Las Victorias are also located. Chalchuapa is a site which shows evidence of being influenced by Copán in Honduras, and also shares some stylistic elements that are more characteristic of central Mexican sites, such as Teotihuacan and the "Toltec"-style architecture at Tula. Tazumal includes a series of Maya ruins, including ceremonial architecture, that date to about AD 100-1200. The site includes an intricate water drainage system, a few tombs, adjacent minor pyramids, palaces and excavated ritual objects. 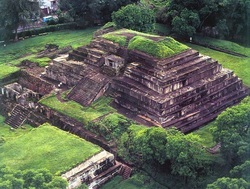 Tazumal had a long and uninterrupted occupational history, from AD 100 until AD 1200, although its greatest development corresponds to the Classic period (AD 250–900). 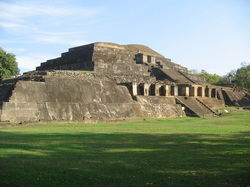 Around AD 900, the Toltec style pyramid in evidence today was constructed; a large ballcourt was also built at this time. The site was abandoned around AD 1200.